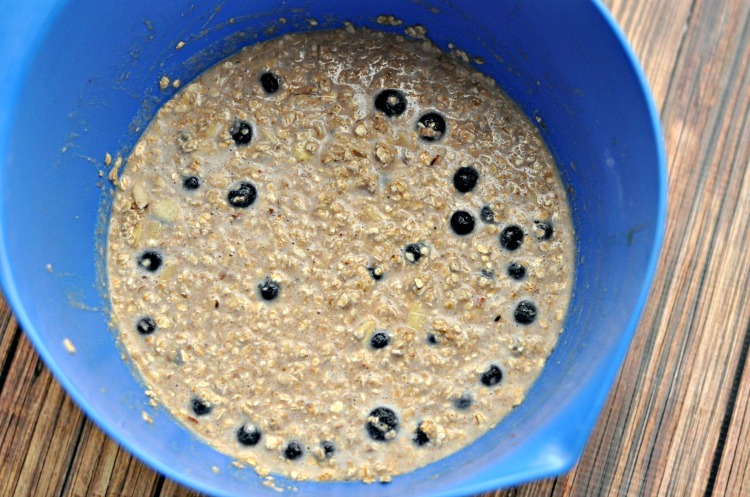 Thank you to ALDI for sponsoring this Blueberry Almond Baked Oatmeal Muffins Recipe! The recipe and all opinions are my own. Now that the New Year has arrived, you’re probably thinking about eating healthier. I know I am! One of my goals this year is to stop skipping meals. I get busy working during the day, and I forget to eat unless someone asks me if I want something. Oopsie! It’s common knowledge that one of the most important meals of the day is breakfast. It gives your body the fuel you need to get through your day and keep up with your kids. I find that I’m better about eating breakfast everyday when I have something I can grab and eat. If I have to cook something in the morning, then I’m less likely to eat. Once I open my computer and start working, it’s all over. 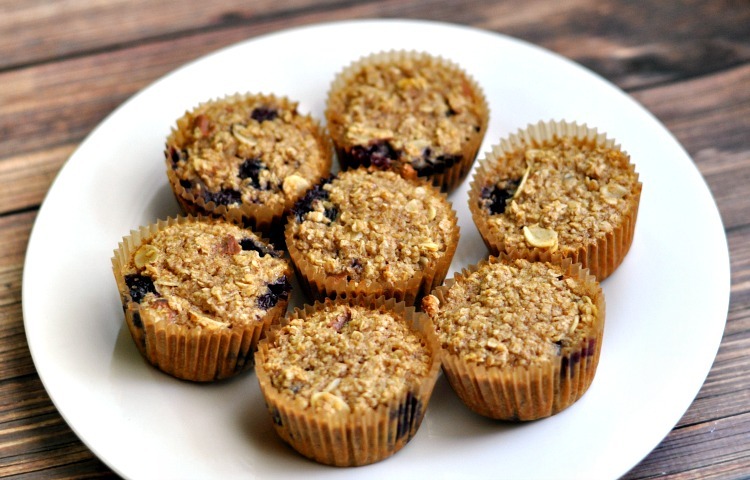 One of my favorite grab and go breakfasts is these Blueberry Almond Baked Oatmeal Muffins. They are super yummy and healthy too. They’re only sweetened with honey, so you can feel safe giving them to your kids too. I stopped eating oatmeal for a while because I couldn’t get plain, organic oatmeal locally. Then ALDI opened up nearby and they offer organic oats at a really great price! And they taste better than the national brand I could get locally before. Every time I shop at ALDI, I’m impressed by how affordable everything is, and how it tastes just as good as the higher priced items at our other local grocery store. They don’t have a huge selection, but they have what you need if you eat a whole foods diet. I love that there isn’t the temptation to grab unhealthy packaged foods at ALDI. The side benefit of that is your kids won’t be begging you for things you don’t want to buy while you’re shopping! When I get the chance, I choose to shop at ALDI because they have what I need at a very affordable price. The reason ALDI can keep their prices so low is because about 90% of the products on the shelves are their own store brands, so they have a lot more control over both price and quality. I was super impressed with how ALDI listens to customers too. They have eliminated added MSG, synthetic colors and partially hydrogenated oils from their exclusive food brands thanks to customer feedback. ALDI is also proud to offer their shoppers a variety of organic produce, including bananas, tomatoes, avocados, apples and salad mixes available in stores that are grown without the use of neonicotinoids. Organic products can be identified by an “Organic” seal on the packaging. All of the ingredients in this recipe are super clean, and they’re all from ALDI. You’ll get 20 Blueberry Almond Baked Oatmeal Muffins from this recipe, so it’s plenty to last you through the work week! See if there is an ALDI near you and get your New Year started down a healthy and affordable path. Line your muffin pans with unbleached muffin liners. In a large mixing bowl, whisk together the eggs, milk, honey, applesauce, coconut oil and vanilla until everything is well combined. Add the sea salt, cinnamon and baking powder and whisk until well combined. Whisk in the quick oats until well combined. Gently fold in the blueberries and sliced almonds. The mixture will be runny. 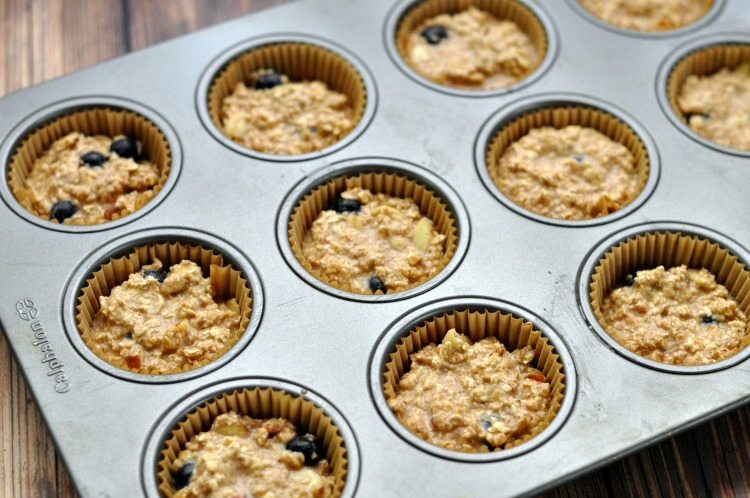 Fill the muffin pan with your blueberry almond oats mixture. Bake for 30 minutes or until set and cooked through. 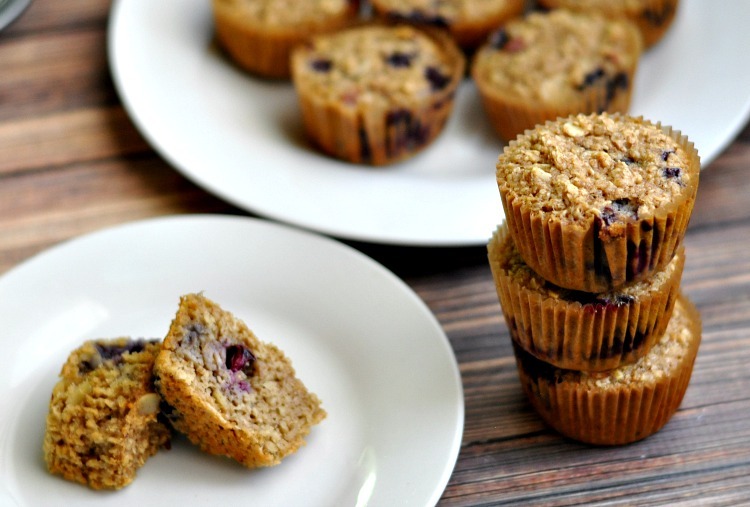 Allow your Blueberry Almond Baked Oatmeal Muffins to cool slightly before eating. You should store them in an airtight glass storage container in the refrigerator or freeze. I’m looking forward to making these Muffins, they sound so yummy!! Thanks for sharing your recipe! 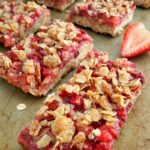 I have regular Organic Rolled Oats, not Quick, and was wondering if they would work in this recipe? I haven’t tried it, but it should work. They will probably just be chewier. Let us know how it works for you! Be sure to come back and let us know how you like them! I would like to have the recpices look real good to serve to kids on lunch time. Something different from the same old muffin I usually eat..will be making some! I wish we could get an aldi store where we are. I love that place and would love to win the contest. I love Aldi’s. I always get more for my money. Thanks for the recipe. I can’t wait to try them. sounds great. im going to try. How do we get notified of winner? I love to shop at Aldi, but could use the 200.00. Aldi is amazing!! We had one put in several months ago and I just love it !!! There is always something new to find there and their fresh produce, meat, cheese, etc. prices can’t be beat!! Don’t know how we lived without an Aldi before! Would love to win their contest so I could buy all kinds of stuff!! Gotta love ❤️ Aldi!! I enjoy shopping at Aldi because of the low prices, their produce selection, and convenient location. I would love to win a gift card to Aldi!! I love Aldi. It would be great to win. I never win anythng. Aldi has great prices and a great variety. Aldi is amazing, Love shopping there.Always great prices. Mi .So I would like to win so I can go shopping. I would love to win this gift card! I love Aldis! Best supermarket around with lots of great values! This looks like a good recipe to try. And I absolutely love shopping at Aldi’s the have great prices and great quality food. I would love to win. Love shopping at Aldis. Hope to win this! These sound as good as they look! Thanks for sharing at the What’s for Dinner Party! I love aldi, too, and can second what you say! These look so good and a perfectly healthy start for the new year! Thanks for sharing them at Fiesta Friday! Blueberry muffins are my favorites and these looks so good! Thank you for sharing at Fiesta Friday! I love a delicious, yet healthy recipe! Thanks for linking up for Friday Favorites. I’m featuring you this week.